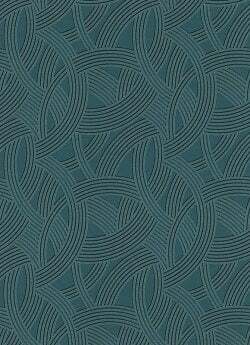 This wallpaper has a beautifully glittering overlap of half-circles, entwining their way over a deep teal-coloured backdrop. Catching the light in all the right places, the glitter on this wallpaper is subtle and delicate as it is designed perfectly to highlight the curvature of the pattern. 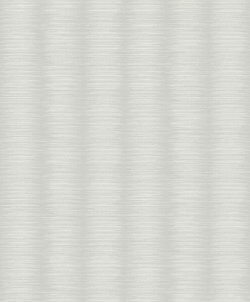 This stunningly shining Great Gatsby Aster Geo Metallic Glitter Wallpaper is the very essence of glamour, glitter and gorgeousness! With a beautiful geometric print and contrasting metallic and glittering panels, this wallpaper is certainly one which will make your room stand out boldly from the crowd. 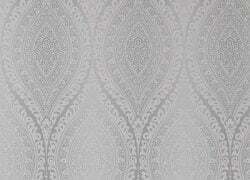 It is a beautifully intricate wallpaper which embodies a glamorous era filled with luxury and vivaciousness. 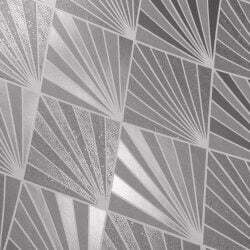 This bold and beautiful wallpaper features a Ancient Greek-style Geometric Key design. This angular line pattern runs throughout each and every roll of wallpaper, interlocking together to create a design inspired by the gorgeous majesty of Ancient Greek designs. The key design works very well as a feature wall, not only as a result of its complex and bold design features a sparkling glitter throughout, contrasting against a dark blue/ teal background. 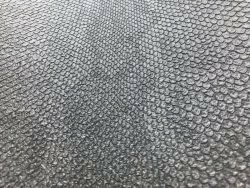 This gorgeously realistic snakeskin wallpaper looks just like a snake's shed, plastered beautifully over your wall. 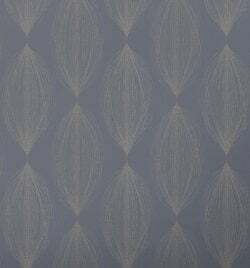 Perfect for feature walls, the metallic colour of this wallpaper helps it stand out from any room accessories, bringing a bold and brilliant look to almost any room in your home! 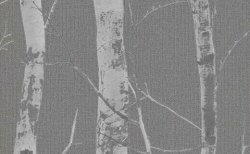 As this wallpaper is scrubbable, it is also a very durable wallpaper which can withstand a lot of cleaning, no matter how much dirt gets splattered all over its surface. 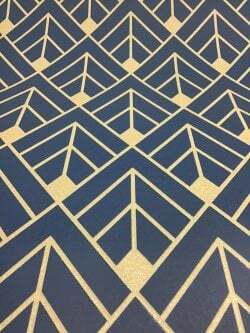 The Glittery Geometric Diamond Wallpaper Blue is so cleanly designed, every single piece of glitter sits perfectly in every golden line. Creating a wonderful interlocking geometric diamond design, the Glittery Geometric Diamond Wallpaper Blue sits within Rasch's Taste Collection, proudly exhibiting both a bold as well as an elegant look. 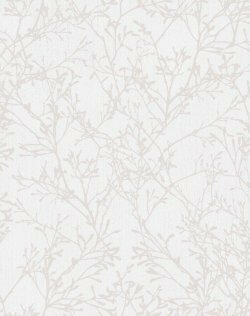 This wallpaper would work wonderfully with a warm tone as a result of the gold detailing, but would equally work with a variety of other colours too! 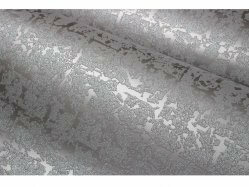 This Symmetry Curved Glitter Wallpaper is part of Rasch's beautiful glitter range as it features a beautiful glittering patterned wallpaper which is a great way to transform the look of your walls, or even your entire room for any season! 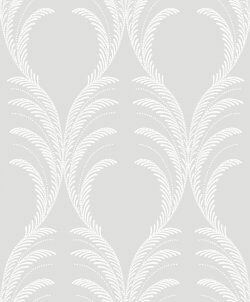 As this wallpaper is washable, it can be used in moderate traffic areas, working to create a delightful addition to your spaces either as a full room, or as a feature wall.